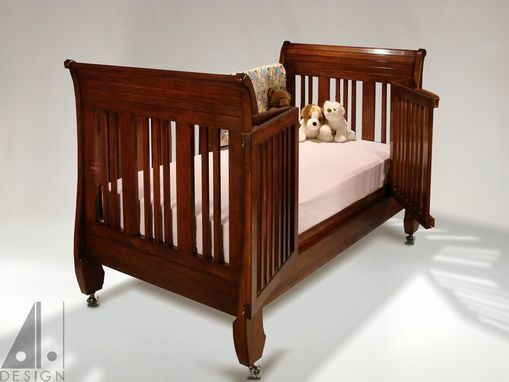 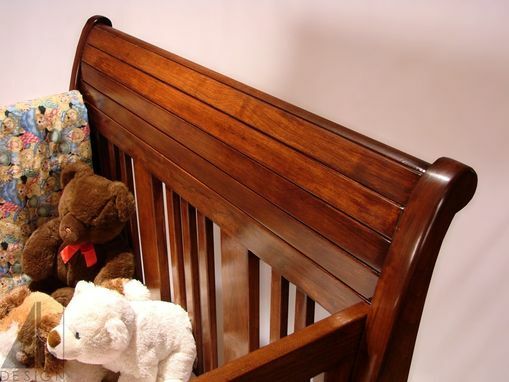 Designed as a bed to grow with the child from newborn to full grown, the solid cherry transformable bed can change from crib to day bed to twin bed as needs change. 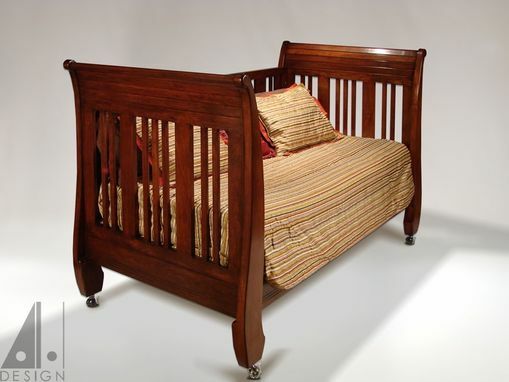 Custom made for the new parents of a bouncing baby boy, the parents both have cerebral palsy and couldn't operate a traditional crib. 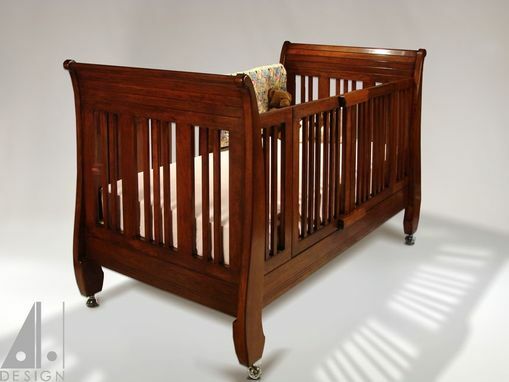 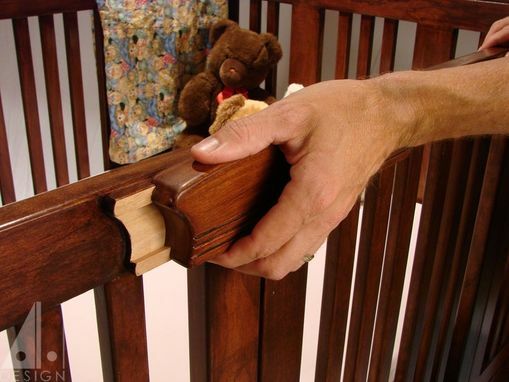 This design allows the parents to unlatch the crib's swinging doors and sit with the child. 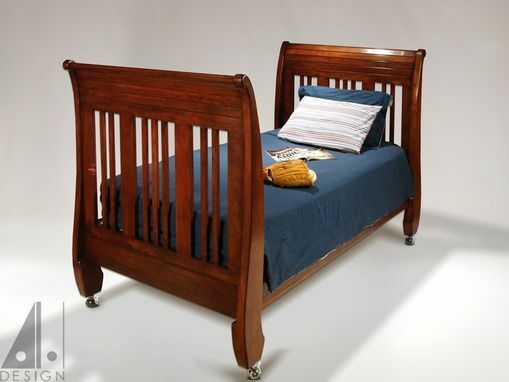 As the child grows, the bed can change formats.